Where Did The Money For Dharma Porata Deeksha Come From? 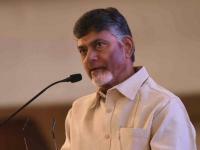 Do you know how much Chandrababu has spent to ensure that the Dharma Porata Deeksha in New Delhi is a success? Well! Guess for yourselves. He has spent over Rs 1.2 crore to book trains to Delhi so that they carry TDP workers. The trains have been booked from Srikakulam, Vizag, Anantapur and Kurnool. Also, 155 persons have been provided with flight tickets. Without these workers, whose travel, food and lodging is taken care of by the party, the protest site would be near empty. Not just that, Chandrababu has booked over 3500 hotel rooms for the party workers.The hotels have been booked depending on the stature of the leader. For instance, 30 rooms have been booked in Royal Plaza, the costliest hotel in the city, for the VVIPs. TTD guest houses, AP Bhavan, Maharashtra Bhavan, Kerala Bhavan and even YMCA lodges have been completely booked. It is reliably learnt that the TDP Government has spent nearly Rs 80 lakh for publicity. Hordings, banners, stages and podiums have been built for the purpose. If the insiders in the AP Government are to be believed, at least Rs 10 crore have been spent from the Government exchequer for the dharna, which is essentially a party affair.